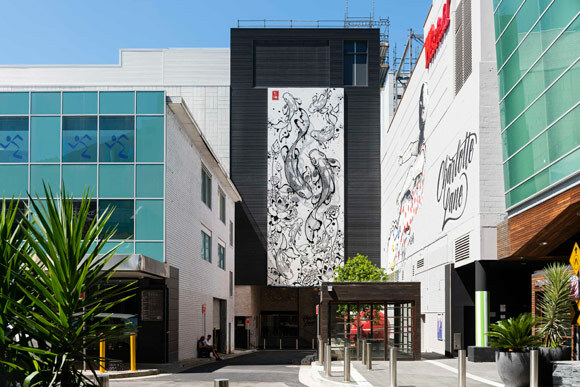 We worked with Scentre Group in a collaborative approach to creative placemaking at the new Westfield Chatswood. 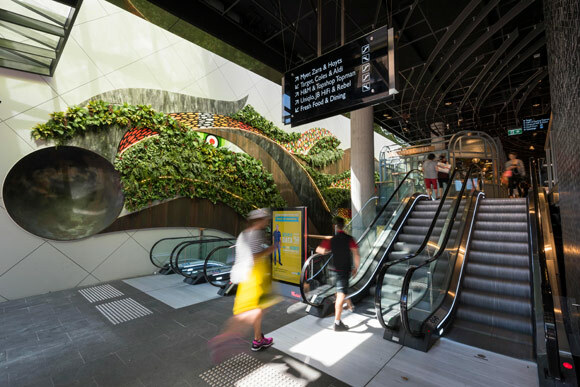 Curated and produced by Wiltshire + Dimas, the project engaged Australian artists Anthony Lister, Nanami Cowdroy, Beastman and Gemma O’Brien in the design solution of site specific permanent and semi-permanent public art and common area environments at the newly refurbished Westfield Chatswood. 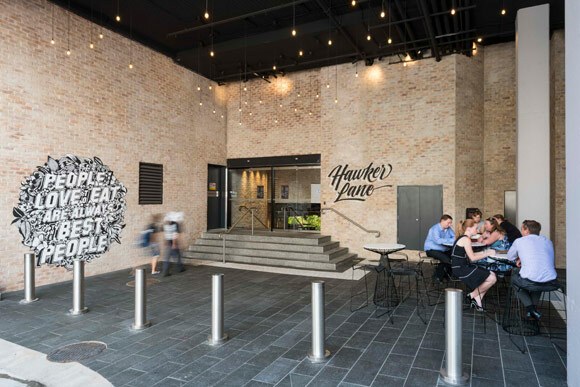 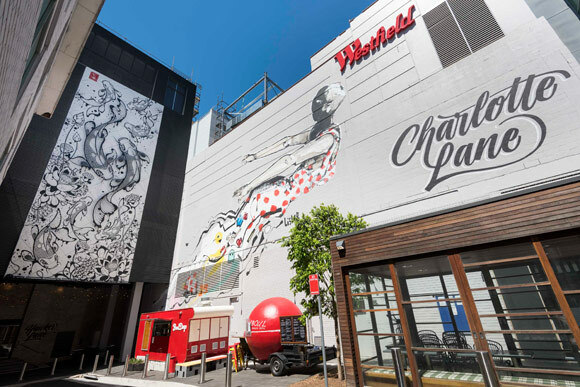 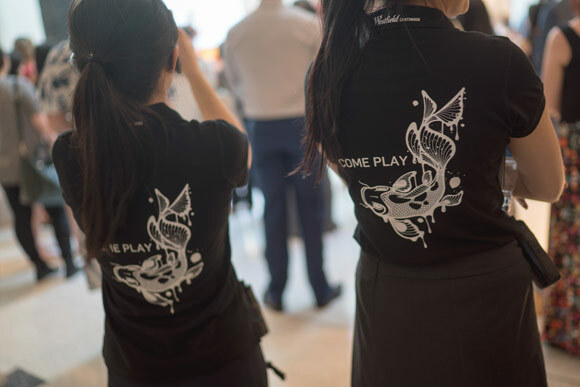 The project included the activation of a new outdoor retail and entertainment precinct branded Charlotte Lane and a new Asian inspired food precinct branded Hawker Lane – both new additions to the Centre. 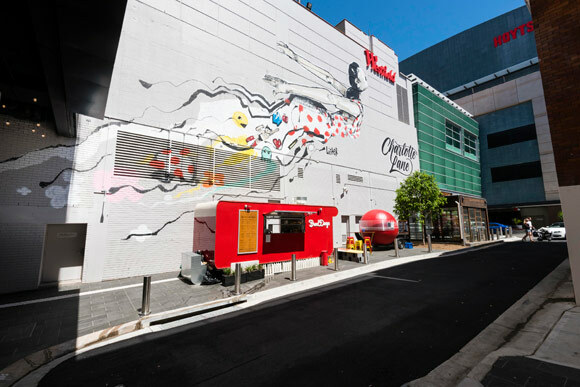 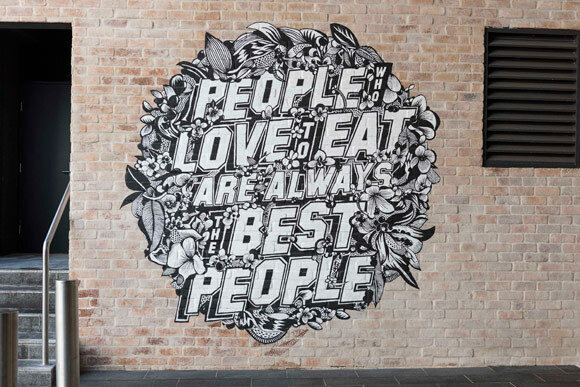 Charlotte Lane features a 17m high permanent installation created together with Nanami Cowdroy, a mural painted by Anthony Lister and three typography walls by Gemma O’Brien. 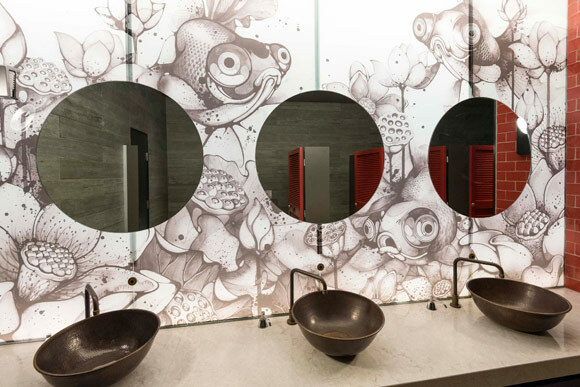 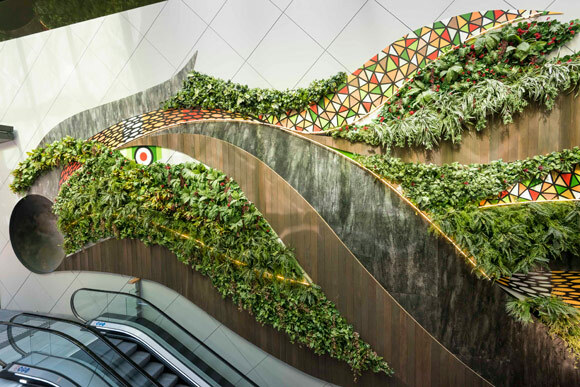 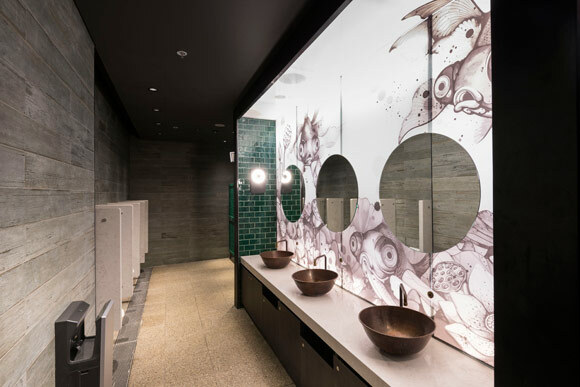 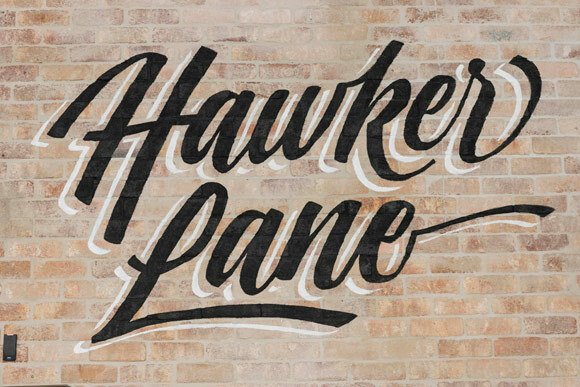 Hawker Lane features a 25m long Green Wall created together with Brad Eastman (aka Beastman) and interior design concepts in both women’s and men’s amenities created together with Nanami Cowdroy. 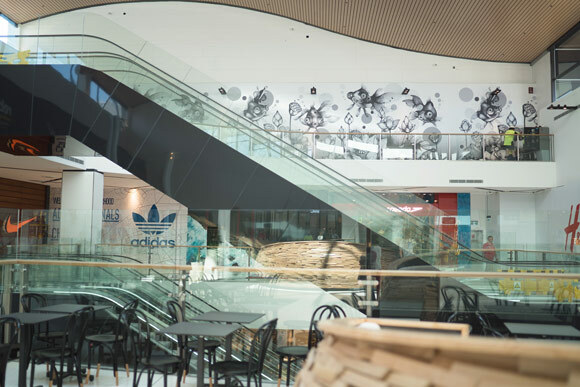 Illustration elements were used in the Centre’s launch campaign as well as interior concepts on hoardings.